Android P, the next iteration of Android, has so far been a part of developer previews. But now, it is rumoured that Google will publicly launch this new version on August 20. 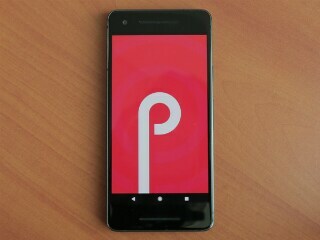 The public debut of Android P will be exclusively on Google Pixel handsets, and the search giant back in March confirmed that the next-generation platform won’t support Nexus models, including the Nexus 5X, Nexus 6P, and Pixel C. Devices currently part of the Android P Beta Program should get their updates soon after, while we can also expect some devices to release with Android P out-of-the-box in the same time frame. For now, the name that the version will be given is still not known, and Google will announce it alongside the launch. Currently, Pistachio Ice Cream is considered as one of the prime candidates. Till date, five developer preview builds of Android P have been released, with the last, released last month, the release candidate with final APIs. Google notably released Android 8.0 Oreo as its new mobile platform on August 21 – matching the reported release date of Android P.
Tipster Evan Blass, aka @evleaks, shared an image on Thursday that highlights August 20 as the release date of Android P. If we believe the usually reliable Blass, the public release of the new Android version is just a matter of few weeks from now. An Android P statue – highlighting its brand, which is also yet to be announced, is likely to be placed on the lawn at Google’s headquarters in Mountain View, California ahead of the formal release. Google launched Android P for developers in March to start testing its new mobile platform. This is specifically aimed at meeting the ongoing market trends, including the display notch design, multi-camera presence, thin-bezel displays, and enhanced security. There are also gesture controls to match the experience that originally arrived on the iPhone X last year. Further, Google has used artificial intelligence (AI) and machine learning efforts to offer an Adaptive Battery feature that helps improve battery life on smartphones. While the developer previews of Android P were initially exclusive to the Pixel, Pixel XL, Pixel 2, and Pixel 2 XL, Google announced its expansion at I/O 2018 in May and brought the first public beta of the next Android version to devices that have Project Treble integration. These include the Essential PH-1, Nokia 7 Plus, OnePlus 6, Oppo R15 Pro, Sony Xperia XZ2, Vivo X21, Vivo X21 UD, and Xiaomi Mi Mix 2S. Additionally, Google is in the headlines for developing its next-generation Pixel handsets, including the Pixel 3 and Pixel 3 XL. These new models aren’t likely to debut alongside the Android P release later this month. However, the new Pixel hardware is expected to come with the upcoming Android out-of-the-box sometime in October.